You have started your journey in the gym and you already have your exercise routine to do and get fit, but there is something you have not considered: what about your diet? Are you going to need supplements? What do you eat? What should you avoid eating so as not to ruin your goals? Talking about food always involves debates about the different aspects that make it up: what feeding protocol is recommended, what foods should be consumed , what are the best sources of nutrients … And of course, the eternal debate about whether it is more important food or exercise. If there is something that you must burn with fire in your memory, it is the subject of the supplements. For someone who begins to diet, or rather to change their eating habits, supplements are completely unnecessary unless there is a specific problem or disorder that requires the help of supplementation, in which case it should be a doctor, dietitian or nutritionist professional who prescribes what supplementation we should take. Normally, when someone starts a diet most of the health questions about supplementation revolve around protein shakes, creatine or fat burners , the most well-known supplements. If your diet is balanced and you focus on ingesting all the necessary nutrients through food, supplementation will only serve you to spend money that could well be invested in food (and therefore nutrients) of quality. Take a balanced diet and in which the nutrients we eat are through real food and quality , is basic if we also do physical exercise, because these nutrients will help us both when training and at the time of post-exercise recovery. As a general rule, it is often said that diet represents 80% compared to 20% of physical exercise (there are no studies on this, but rather it is an affirmation made by many professionals to show that food is more important than diet. exercise ). This phrase may have its meaning, because by much physical exercise we perform, if the nutrients that we bring to our body are not correct or in health adequate amounts, we will not get any results. Take as a reference the following sentence: “if you eat like a pig, and you train like an animal, you will be a strong pig”. Okay, we have already understood the importance of having a good diet and of providing the body with the necessary amounts of nutrients. What about calories ? Is it more important the number of calories we eat or the origin of those same calories ? Until relatively recently, the generalized reasoning was that we had to focus on the number of calories consumed and spent , and that while we were below the requirement (in case of wanting to lose body fat ) or above our needs (if what we we are looking for mass increase ), it was the only thing that mattered. However, studies and detractors of ” counting calories ” have recently emerged that have made it appear that what really matters, beyond the number of calories ingested (which is also important) is the origin of the calories consumed , since it is not the same as the fat that we ingest come from foods such as salmon or avocado that comes from sausages, bacon or ultra-processed products. Quality matters, and more if we are talking about food . This is where the concept of ” real food ” arises . What do we mean by real food? The simplest definition of real food is that it is that minimally processed food or one whose industrial or artisanal processing does not suppose a loss of quality of its nutrients “(definition extracted from the web Realfooding ). Why should we avoid ultra-processed ones? Are all processed foods the same? No, not all processed foods are the same . There is a group of foods called “good processed”, which either have not undergone any processing or, if they have been, it has not modified its characteristics or impoverished its nutrients. Within this group we could locate the real food in preserved or semi-preserved (such as some vegetables or canned vegetables), cooked and frozen food or cooked food and then vacuum packed. ¿ And why should we avoid eating foods ultraprocesados ? In the first place, due to the nutritional poverty of these foods, characterized by a high content of fats, sugars and salt . 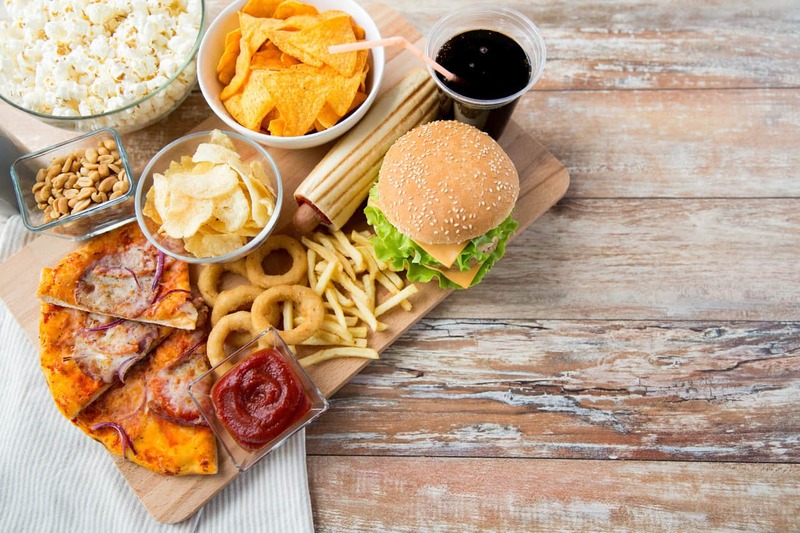 In addition, if we talk about the content of these foods in fats, most of these are saturated fats (of the most harmful to health and those that most favor overweight, obesity and cardiovascular problems). Serve as the end of this post two phrases that each day can be seen in more pages and blogs specialized in nutrition. The first one, is committed to a change in the consumption model of people as a measure to reduce the amount of ultra-processed foods that enter our pantries: “More market and less supermarket”. And the second sentence could well be defined as a direct consequence of applying that model change of the first: “You have to cook again”, because one of the main characteristics of ultra-processed foods is that we do not need to cook them or, if we have that to carry out some action previous to its ingestion this one is usually to heat them in the oven or the microwave. We have to cook again as before: legumes, fish, homemade spoon stews … Our health will appreciate it.